The Lincolnshire Cerebral Palsy Society work closely with Bridge McFarland Solicitors, a Firm based in Lincolnshire and East Yorkshire. Bridge McFarland have a lot of experience acting for disabled people, acting on behalf of children, and representing families who have been affected by negligent medical treatment. Making a Will can be complicated, in particular when you have to consider caring responsibilities and other implications when cerebral palsy is a factor. Our solicitors make sure that this as straightforward and easy to understand as possible. We have many years of experience dealing with wills and setting up trusts for your loved ones that will take care of them when you no longer can. We encourage face to face meetings to understand your exact needs, because every situation can be unique. We will ensure that you get all of the advice and guidance you need so that you and your family can rest assured, knowing you are prepared for any event. 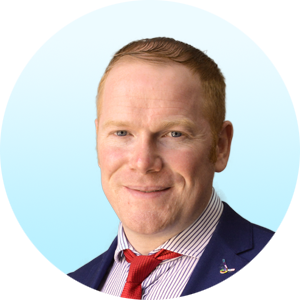 Paul is a partner at Bridge McFarland in Lincolnshire, and is head of the private client department in Louth. He deals mainly with specialises in drafting Wills, IHT planning, Administration of Estates and Trusts, Probate applications and Lasting Powers of Attorney, and has experience in administering very large (multi-million pound) estates and the affairs of clients with unusual difficulties. If your child may have developed Cerebral Palsy as the result of medical negligence then we can help get the answers you deserve and, where appropriate, secure compensation for your child. No amount of money can put things right, however we aim to secure a lifetime package of financial support that will allow for the best achievable outcome. This includes the funding of any private physiotherapy sessions or surgeries, any necessary equipment and adapted accommodation required. If you have concerns about any treatment during pregnancy/labour or generally about any care being received contact our team today. Chris is a board member of Lincolnshire Cerebral Palsy Society and also a senior medical negligence solicitor at Bridge McFarland. 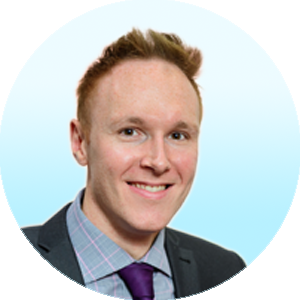 Chris specialises in claims involving Cerebral Palsy, pregnancy and birth injury, and consistently receives positive feedback from clients for his professionalism and supportive nature. He is also a member of the AvMA Specialist Clinical Negligence Panel.